Those geniuses at Aardman have done it again. 2015 sees the year that their lovable Wallace and Gromit spin off character, Shaun the Sheep gets his own movie, in the aptly titled, Shaun the Sheep Movie. If you loved Aardman's other movies such as Chicken Run, and of course the most famous animated duo in history, Wallace and Gromit, then you are going to love this film...and LOVE all the Shaun the Sheep Movie dolls and toys! The movie follows Shaun and his friend's unexpected trip into the city...how will they cope, and what adventures are waiting for them? On this page you will find all the dolls and toys you need to keep you satisfied. More Shaun the Sheep Movie dolls and toys will be getting released throughout the year, so keep your eyes peeled, and be sure to bookmark this page and keep checking back for more exciting additions! If you can't wait any longer, click here to be taken straight to Amazon.com's Shaun the Sheep dolls page. ...or if you're in the UK, visit Amazon.co.uk's Shaun the Sheep Movie dolls page here, now! It shouldn't have escaped your notice that Shaun is a very cute sheep, and the subject of many a child's (and adult alike) affection. And guess what? 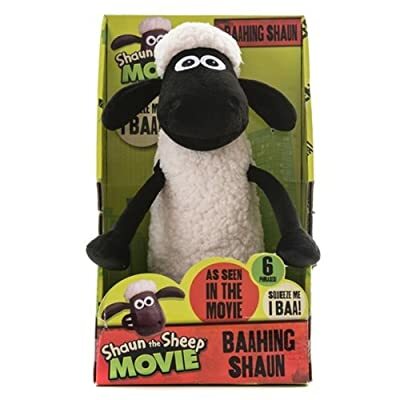 They are plenty of Shaun the Sheep Movie dolls and toys available to get for every die hard fan! It doesn't just end with Shaun though, you can also get hold of dolls and toys for the other characters too - waahooooo! If you're looking for Shaun, Bitzer or even Timmy dolls, then you're in the right place! I love Shaun so much, he's another one of those superb characters that needs no voice, his actions, and the superb animation says it all. He's a silent movie star hero! Now you can have your very own Shaun the Sheep Movie doll, in this beautiful plush toy. Measuring at 19 inches, this is the perfect size for any fan, big or small. He's also multi textured, which is ideal for those cold nights, when all you want to do is cuddle up with a wooly, sheepy toy, to keep you warm - and who better to keep you company, than the clever and perceptive, Shaun the Sheep! Shaun the Sheep Movie Doll with Sound! 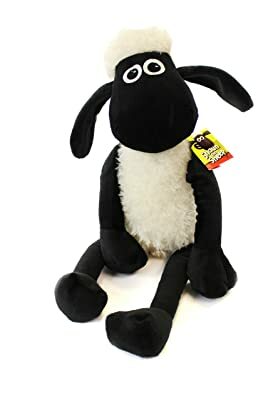 If you, or you know someone who loves Shaun the Sheep Movie, then you will want a Shaun the Sheep Movie doll...and this is no ordinary Shaun the Sheep...this beautifully made doll is not only soft and cuddly, but it baaaaahs...yup, it makes the Shaun the Sheep baaing sound! There's not just one baa, though. This Shaun the Sheep doll comes complete with 6 sheepy, bleety, baahing phrases, to keep you and everyone else in the room entertained. What's not to love about this gorgeous Shaun the Sheep toy? 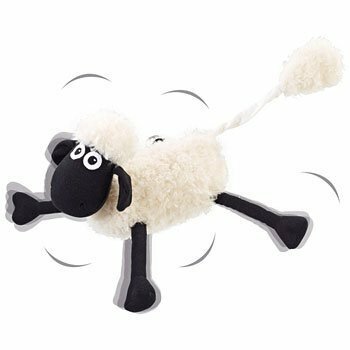 Now, the first thing you should know about this awesome Shaun the Sheep Movie Doll, is that this is not a toy suitable for anyone under 3 years old...which means for kids and adults alike, this is THE best Shaun doll...with his little springy arms, you can ping him across the room catapult style. The game opportunities are endless with this cool little sheep toy! Shaun the Sheep Movie Doll that shivers! BITZER!!!!! The loveable friend to none other than our hero, Shaun the Sheep. 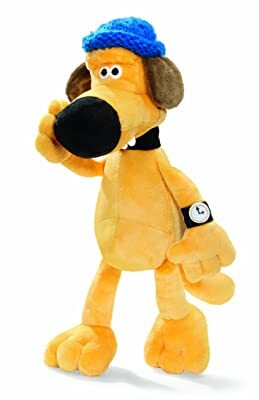 This gorgeous little Bitzer Doll features everything from his bright blue hat, to his trusty watch, and of course, has hose weird (but very cute) teeth. If you're looking to introduce a prize addition to your toy collection, a Shaun the Sheep and a Bitzer are an absolute must! Baaaaaa-rilliant toys!